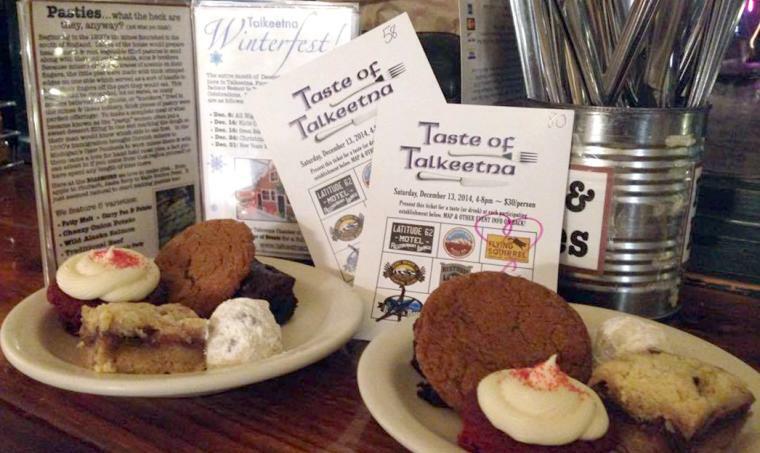 One of the best culinary events in Alaska takes place this Saturday (Dec. 10), as the Taste of Talkeetna treats visitors to small bites at seven local restaurants. For foodies looking for a little adventure, I can&apos;t think of a better event to attend. Last year, my family attended the event for the first time, and needless to say, we&apos;ve been looking forward to this weekend&apos;s event all year. It&apos;s a perfect holiday event, as you walk along cozy Main Street and stop at the various restaurants. This year, the participating restaurants are Talkeetna Roadhouse, Latitude 62, Mountain High Pizza Pie, the Flying Squirrel Bakery, Kahiltna Bistro, the West Rib Pub and Denali Brewpub. At each stop, you get a small portion of a preselected menu - last year, it ranged from lasagna and reindeer meat loaf to homemade soft pretzels and plenty of sweets. Needless to say, you have to bring a healthy appetite, because even though each restaurant serves up a small portion, it adds up quickly. You visit each of the seven restaurants between 4 p.m. and 8 p.m. Then, you make your way back to the Fairview Inn, where your ticket becomes your entry for several prize packages being given away, including flightseeing trips, jetboat trips, overnight packages and much more. 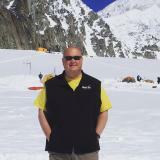 My family likes to make an adventure out of the weekend and stay at one of the many amazing bed and breakfasts or cabins in the Talkeetna area. We get up to Talkeetna in the afternoon and visit some of our favorite spots before checking in and relaxing with an amazing view of the Talkeetna River and the Alaska Range. There&apos;s nothing like waking up those views after a fun night of sampling amazing food with friends and family. Tickets for the Taste of Talkeetna are $50 each, and its well worth it. Tickets are still available (they&apos;re going quick though) by calling 907-414-0376. For more information about the Taste of Talkeetna, including the Golden Ticket Auction, check out their Facebook page HERE.